Atlas is made up of two projects. Together they set the scene for the beginning of the next series of projects in Cabin-et. 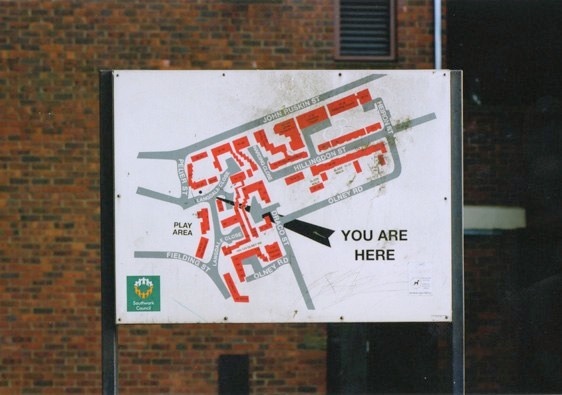 The first project is an ongoing series of photographs of the orientation maps displayed around housing estates. These maps both locate the visitor and the territories they describe. Rarely found on private housing schemes, and although often useful they also describe intimate elements of our own culture, in geographical and social terms. These maps ask questions about how we see not distant foreign climes, but how we map or own territories and classes. Is it to organise and locate the viewer or the population within, to clarify or control a territory.